Tokyo, the capital city of Japan, is the most densely populated metropolitan city in the world, home to nearly 40 million people. 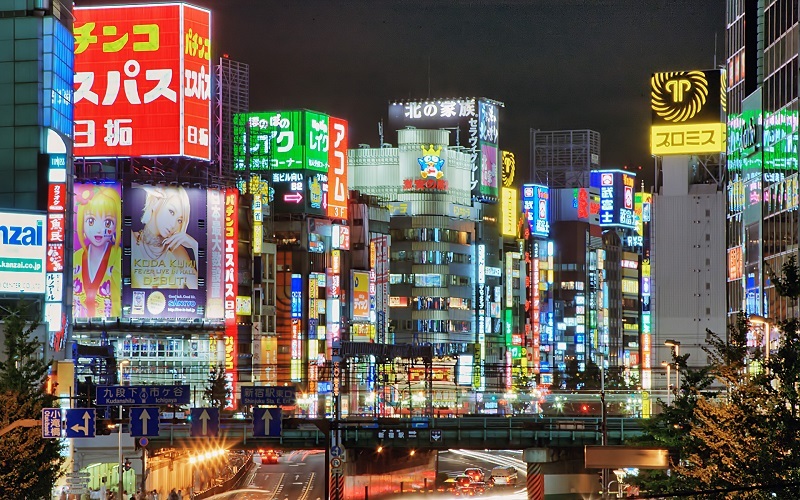 The Tokyo Metropolis, as the area is officially known, spans nearly 850 square miles (nearly 2,200 square kilometers). Tokyo enjoys a rich cultural history, as it has been the seat of government in Japan since the year 1603. Tokyo is comprised of twenty-three wards, each operated as an individual city. Getting around in a city of this size – especially as an international traveler – may at first seem intimidating. However, Tokyo’s public transportation system, which includes airports, trains, buses, taxies, and pedestrian traffic – has been designed operate smoothly. With your Japan Rail Pass in hand and with the help of this travel guide, you will soon be navigating the streets and stations of Tokyo like a pro. 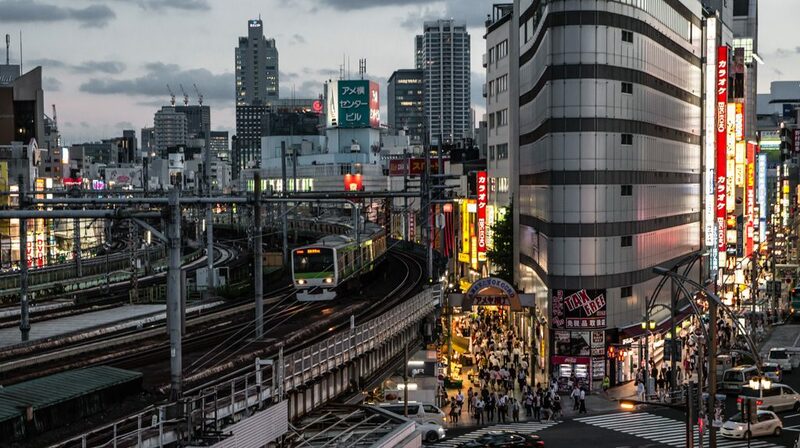 Tokyo is densely laced with railway lines, and most major lines make stops in this city. As such, Tokyo houses a large number of railway stations. Akihabara Station, located in Tokyo’s so-called “Electric City,” one of the largest stations in Tokyo, served by all three major JR lines. Ikebukuro Station, in the north-western side, served by the Yamanote loop line and also the Narita Express. Shibuya Station, connecting the Shibuya ward with the Yamanote loop line and private railways and subways. Shimbashi Station, which is a 10-minute walk away from Ginza district and 15 minutes away from the Tsukiji Fish Market. Shinagawa Station, in the southern downtown area, connecting to the Tokaido Shinkansen. Shinjuku Station, busiest train station in the world, connecting most JR and private lines, serving more than 3.5 million passengers daily. Tokyo Station, served by the shinkansen high-speed rail lines, local JR lines, and with number of authentic restaurants on its internal Kitchen Street. Ueno Station, in the northern downtown area and served by Shinkansen lines going north of Tokyo. The JR Pass affords access to five main Tokyo railway lines. You can reach Tokyo via many of Japan’s Shinkansen lines. Within the city, the Tokaido Shinkansen makes stops at Shinagawa, Ueno, and Tokyo Stations. The Yamanote Line is the most prominent rail line in Tokyo. The Yamanote is a 21.5 mile (34.5 kilometers) loop line which passes through Tokyo’s various city centers and numerous stations, including Tokyo, Ueno, Ikebukuro, Shinjuku, and Shibuya Stations. Riding the entire Yamanote Line takes around one hour, thus allowing you to quickly view different parts of the city. The Keihin-Tohoku Line runs parallel to the eastern side of the Yamanote, and can be accessed from Tokyo, Ueno, and Shinagawa Stations. On the western side, the Yamanote is complemented by the Saikyo Line (Osaki – Shibuya – Shinjuku – Ikebukuro – Akabane – Omiya). The Rapid Chuo Line intersects the Yamanote line. It can be accessed from Tokyo and Shinjuku Stations. The train runs every two and half to four minutes, and as a rapid service, stops only at Yotsuya, Ochanomizu, and Kanda during peak hours. The local Chuo-Sobu line also crosses the Yamanote, with a slower but very handy service for tourists. This line services both east and west Tokyo, from Chiba to Mitaka, passing through Akihabara, Yoyogi and Shinjuku Stations. Ryogoku Station can be reached from this line, providing access to the Kokugikan Sumo tournament arena. The Shōnan–Shinjuku line goes through a number of places around Tokyo including the Shonan area of Kanagawa Prefecture (south of Tokyo) and the Saitama, Gunma, and Tochigi Prefectures (north of Tokyo). Though it is marked on railway maps, the line has no dedicated track. It uses various sections of other lines (Ryomo, Takasaki, Utsunomiya, Yamanote, Yokosuka, and Tōkaidō Main lines). Other metropolitan lines that circulate on the outskirts of the city are the JR Keio line, JR Musashino line, JR Nambu line and JR Yokohama line. Don’t forget to check the complete train maps of Tokyo and its area in our Japan maps section! Tokyo is home to two airports, the Narita Airport and Haneda Airport. Both airports handle international and domestic flights, making the airplane a convenient means of travel in and out of Tokyo. The Tokyo Monorail to Haneda Airport departs from Hamamatsucho Station, on the Yamanote line. Travel time to the terminal is 13 minutes from this station. The Narita Express connects to the Narita Airport via Shinjuku Station. Your Japan Rail Pass is valid on both airport trains. The rest of the 13 Tokyo subway lines that run in and around the Yamanote line are operated by companies other than JR East. While the metro lines do no accept the JR Pass, other IC Cards, such as the Pasmo and Suica, may be used. These cards give you access to almost any train or bus in Tokyo. While the rail lines are the fastest, most efficient, and most reliable means of getting around Tokyo, other methods of travel are available for your convenience. The city of Tokyo is crisscrossed by a network of city buses routes. In Tokyo, buses require a flat rate fee of ¥210. You can use an IC Card on most city buses. Taxis are plentiful in Tokyo. Each taxi can handle up to four passengers, and most accept credit cards. Be sure to write down your destination for the driver. If you have access to the location name in Japanese, this is ideal, as many drivers do not speak English. Taxis, however, can be expensive compared to other public transportation when traveling long distances. As Tokyo is a large city, walking is not an ideal means of transportation. What looks like a short distance on a map – for example, from Ginza to Shibuya – may often become an hours-long walk. The exceptions are the areas around Akihabara and Ginza, which on Sundays are designated as pedestrian zones. As an alternative to walking, you might consider renting a bicycle. If you do so, however, be aware of traffic laws and the presence of steep, hilly terrain. Whether you choose to travel by train, bus, taxi, or on foot, you are now equipped to successfully navigate the teeming metropolis known as Tokyo! Hello, I will be spending several weeks in Japan in November. I will be travelling from Tokyo to Kanazawa and from there to Kyoto. Does the Jrailpass cover those trips? Hi Joe! 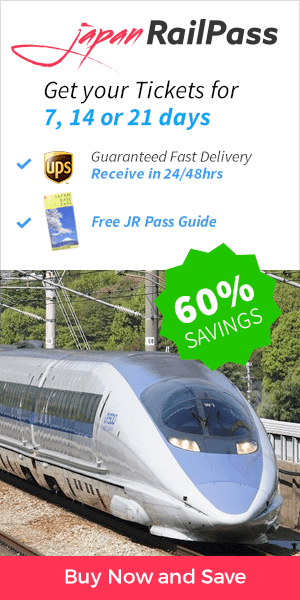 Yes – the Japan Rail Pass will cover your trips. You can travel from Tokyo to Kanazawa directly by bullet train on the JR Hokuriku Shinkansen line. To get from Kanazawa to Kyoto, the JR Thunderbird limited express trains travel directly and take around an hour. Happy travels! Hi, Im a little confused and Im hoping you can clear it up. Here it says the 14 day pass is $557, and on the JR East booking site the 14 day pass is $180. However, the JR East pass says “use any 5 days within 14 days”. Is this the same 14 day pass? Or can I use the $557 pass every day for 14 days and not limited to a 5 day use? Im going to be visiting in May. There is only 1 type of Japan Rail Pass, which allows unlimited trips during the whole validity days (which can either be 7, 14 or 21 consecutive days). Please note that the Japan Rail Pass is the only pass which covers nation-wide transportation; you will also find regional passes, but they include transportation limited to a certain region and not through the whole country. I am planning to Japan in May and I am wondering if I should get a 7 day pass or not. I will be going to Starbucks Reserve Roastery Tokyo, Tokyo Dome City, Mitsukoshi Ginza Department store, Tsujiki market, Odaiba osen, and the Tokyo skytree. I will start at Haneda airport and end in Narita Airport . Does your trains cover all those places? Is the Haneda Limousine Bus Free with the JR Pass? And can I get the JR pass in Japan when I arrive without pre-ordering it in Canada? Say I decide it is not useful now, but find out it is very useful when I am in Japan. Can I still get it then? We are hoping to travel to Japan in May, and i’m undecided about which pass would be most cost effect to purchase, between the 7 day or 14 day pass. Can you please advise, here is a rough idea of the itinerary & where we wish to visit. Hi Annie! The JR Pass gives you unlimited access to all Japan Rail National trains, JR bus services, ferry services, and airport transfers. A 7-day JR Pass only costs ¥29.110 which is actually cheaper than a return ticket from Tokyo to Kyoto on a Shinkansen bullet train. This means that if you make just one long-distance trip you can already save money. If you make multiple trips then you start saving thousands of yen. In your case we would recommend a pass that covers your full vacation. Happy travels! Hi there. Planning a 12 day trip to Japan in March. The trip will start and end in Tokyo with stops in Osaka and Kyoto. Trying to decided between a 7 day pass vs. a 14 day pass as at least half the trip will be in Tokyo only. Any advice would be helpful. Thanks. Hi Mateo! The JR Pass gives you unlimited access to all Japan Rail National trains, JR bus services, ferry services, and airport transfers. A 7-day JR Pass only costs ¥29.110 which is actually cheaper than a return ticket from Tokyo to Kyoto on a Shinkansen bullet train. If you make multiple trips then you start saving thousands of yen, but of course will depend on the amount of trains you aim to take. We recommend you to draw your itinerary and to compare the cost of the Japan Rail Pass to that of individual tickets between all destinations. Happy travels! Hi! Can I use a JR Tokyo Wide Pass from Tokyo to Mitaka (Ghibli Museum)? Good day! My husband and I purchased a 7-day JR pass (Green car). Can we book our tickets before the activation date for the following? And are there green cars available for all these routes? Lastly, how do we use the JR pass to for trains in Tokyo? Do we just need to present the pass? Many thanks! How can use JRail pass for a Shinkansen from the Tokyo area to Nagoya ? Hi Chris! When traveling from Tokyo to Nagoya, the quickest option is to use the JR Tokaido Shinkansen, accessible using your JR Pass. Taking the Hikari train, you will reach Nagoya in less than two hours, and if taking the Kodama train, your trip will last about three hours. Likewise, you can make the return trip from Nagoya to Tokyo using these same train lines. Happy travels! Hi, if i get the 7day pass. Would I be able to use it to go to hakone and sumatakyo bridge? Yes, you can use your JR Pass to get to Hakone. Please check our Hakone guide for further information. Regarding Sumatakyo bridge, you will have to get the Tokaido Shinkansen and then check Hyperdia or other local transport companies. Hi, what does ‘unlimited access’ to Tokyo Disney Resort mean? Hi yglez! Where have you read this? JR Pass will allow you to get to Tokyo Disneyland, but does not cover the entrance to the theme park. To get there use your Japan Rail Pass to travel from Tokyo Station to Maihama Station, on the JR Keiyo line. Travel time is 20 minutes and the park is a mere five-minute walk from the station. Happy travels! I will be in Tokyo and Osaka from October 4th – October 9th 2018. If I purchase JR Pass online do I receive it in my house then bring it to Japan Hanada airport for activate or I will receive JR Pass in Japan? Thank You. Also I purchase 7 days JR Pass but for the extra 2 days in Japan can I purchase JR pass in Japan? Hi Ken! Orders purchased at http://www.jrailpass.com can be delivered worldwide. You can have it either sent to your home address or to your temporary address in Japan. Hallo, ich habe den JRPass für mich und meine Tochter gekauft. Gilt dieser auch für die Oedo Line? Hi Letizia! The Oedo Line is handled by Toei, a different company from the JR Group and thus is not included in the Japan Rail Pass. Enjoy your stay! Hi there. We will be going to Japan on July, we will be arriving at Narita going Tokyo then Tokyo to Kyote then Osaka then depart Osaka to Kansai Airport. I dont know what railpass will I purchase to cover all our itineraries that would cost us less including our airport transfers in Narita and Kansai. Thank you. We hope you enjoy your stay. Happy travels! Hi there I will be travelling to Japan during the Rugby World Cup in 2019. Is it possible to get to Tokyo and Yokohama stadiums with the JR pass? We recommend you to check our 2019 Rugby World Cup in Japan: Travel guide article for all the details on the topic. Tokyo Stadium (Ajinomoto Stadium)’s next station is Tobitakyu Station, which can be reached with the Keio Line. Yokohama International Stadium (Nissan Stadium)’s closest stations are Kozukue Station (Yokohama Line) or Shin-Yokohama Station (Tokaido-Sanyo Shinkansen). I am planning to visit japan in january 2019. I am going also for vacation next month to england and france and i saw there jr pass office there , is it the same. Please check our page about the JR Pass, we believe it will suit you perfectly! Don’t forget to check the routes and itineraries on this blog also. We are going to travel to Narita on May 11 and want to stay for 4days in Tokyo. What is the cheapest way to go to different places like Shinjuku, Yokohama, Chiba. Can we used JR Pass to go to Nagoya? Yes, you can access Nagoya using your Japan Rail Pass. When traveling from Tokyo, the quickest option is to use the JR Tokaido Shinkansen. Taking the Hikari train, you will reach Nagoya in less than two hours. – The Yamanote line will take you to Shinjuku. – The JR Keihin-Tohoku Line will take you to Yokohama. – The JR Chuo-Sobu Line will take you to Chiba. When traveling in Tokyo with a Japan Rail Pass, you are entitled to make full use of the Chuo-Sobu Line at no additional cost. This line runs east and west across Tokyo, between Chiba Station and Mitaka Station. This line stops both at Tokyo Station and Chiba Station. The Chiba Urban Monorail is not part of the JR Group and thus is not included in the Japan Rail Pass. I am interested to visit Shukubo Komadorisanso. The pass covers JR Chuo Line and JR Ome Line bound for Okutama, correct? Does the pass cover the bus to “Cable shita”? The Japan Rail Pass does not cover the bus to Cable Shita. The JR Pass includes the services of local buses, spread throughout Japan, allowing access the JR local bus lines operated by JR Hokkaido, JR Tohoku, JR Kanto, JR Tokai, JR Shikoku, JR Kyushu, Nishinihon JR Bus and Chugoku JR Bus. Can the JR Pass be used to travel around Osaka, Kyoto and Tokyo? Or do I need to get a separate day or 3 day pass for each city? I will be traveling in Japan (Osaka, Kyoto, Nara, Nagoya, Mt Fuji, Kamakura and Tokyo) for about 21 days. The Hyperdia site said the cost of a 21 day pass would not be worth it. However, doesn’t the JR Pass include local travel around Osaka, Kyoto and Tokyo? I plan to spend at least 4 days in Osaka and Kyoto and 6 days in Tokyo. Can the JR pass be used for local travel within each city? In this article you are commenting you will find all the information regarding the 5 local Tokyo JR lines that can be accessed unlimitedly with your Japan Rail Pass: the Yamanote Line, the Keihin-Tohoku Line, the Rapid Chuo Line, the local Chuo-Sobu line and other metropolitan lines that circulate on the outskirts of the city such as the JR Keiyo, Musashi, Nambu and Yokohama lines. While in Osaka, you will be entitled to make full use of the Osaka Loop Line, which “loops,” or circles, through downtown Osaka. As for Kyoto, local JR lines include the Sagano Line and the Nara Line. 1.I’ll be arrive at Haneda Airport, so which station is the best and cheapest way from airport to Shin Okubo? 2. I’m staying at Shin Okubo and i thinking what is the pass that i can enjoy unlimited ride for JR Yamanote and Tokyo Metro Line because im looking for budget saving cost for transport and travel around the tokyo city. 3. Is there any website that i can check for JR Lines fares from one station to another station? If you want to check cost and timetables of trains in Japan we recommend you to use Hyperdia – the number 1 Japanese online transportation planning tool. Narita (town), Chiba, Tokyo Station, Shinbashi, Hamamatshucho, Shinagawa, Shibuya, Shinjuku, Yokohama and Ikebukuro. You may stop in any of them and transfer to the transportation of your choice. You can easily reach Mount Fuji from Tokyo by following the Gotemba trail: first take JR Tokaido line for Kozu from Tokyo Station, using your JR Pass. Once at Kozu (Kanagawa), take the JR Gotemba Line for Numazu and get off at Gotemba Station. This will be your final destination. Kids Age 5 years old does not need to pay the Child Fare correct? The fare for Child is for 6 years and above? Children younger than 6 years old can ride all JR trains and buses free of charge. However, they cannot reserve a seat. Should all seats be already booked, the child must be held by the parent. If we hold JR Pass do we need to pay the Reserved Seat Fee? or we can sit anywhere without additional cost? From HyperDia what will be the best route to fully utilized JR Pass? JR Pass holders can book a seat on all Japan Rail trains free of charge. All seat reservations should be done before boarding the train. If you want to learn how to use Hyperdia we recommend you to follow our Hyperdia user guide. Also we strongly encourage you to surf our blog to find best itineraries to make with your Japan Rail Pass. Can we use JR Pass to go to Echigo-Yuzawa Onsen Ipponsugi Ski? The Joetsu shinkansen, included in the JR Pass, takes you straight from Tokyo to Gala Yuzawa ski resort, on the Niigata prefecture, in just two hours. Since I will only cover below area shall i take 2 days Metro Pass to cover below journey/visit? – Shinjuku, maybe the world’s busiest train station. Apart from a station, Shinjuku is also the name of an important business and shopping center. – Yoyogi, situated between the north entrance of the Meiji Shrine, part of the Yoyogi Park and the Shinjuku Gyoen National Garden. – Harajuku, which exit will guide you straight to the south part of the Yoyogi park as well as to one of the most famous streets in Tokyo – Takeshita. 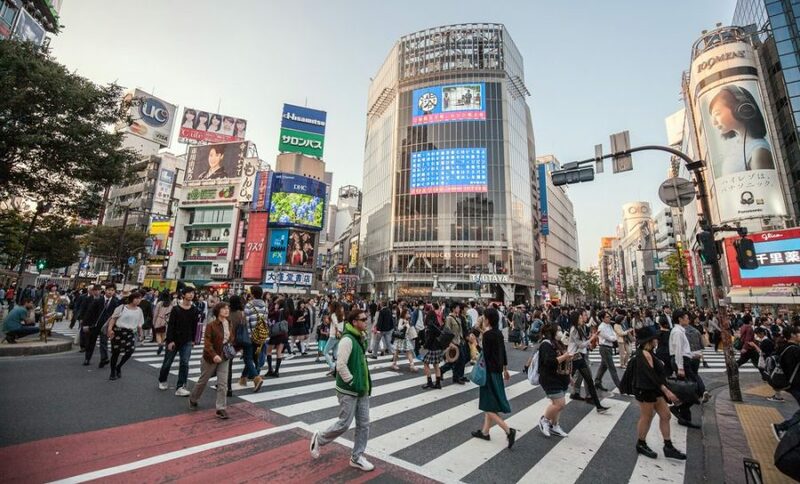 – Shibuya, famous for the busiest intersection in the world – the Shibuya crossing – and one of the largest shopping centers as well as one of the most active business centers. – Meguro, where the Meguro canal gains popularity every spring when the cherry trees growing on the river side start blossoming. 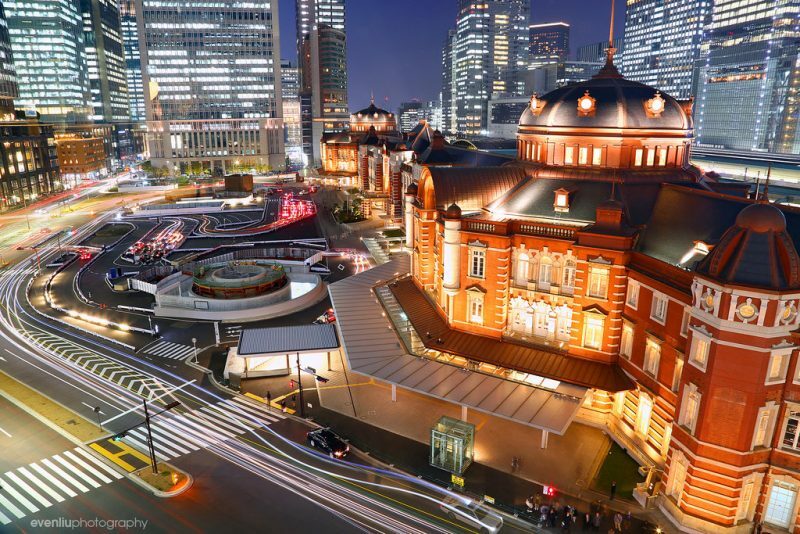 – Tokyo Station, the central as well as a terminal station for all Shinkansen bullet trains and located in Marunouchi, which is one of Japan’s most prestigious business centers. – Akihabara, famous for it numerous electronic shops. – Ueno, very close to the Ueno Royal Museum and Ueno Park. And many other amazing locations. We hope you enjoy your stay in the city! Can we have our tickets deliver to Bogota, Colombia before 20 dec if we order now? The amount we would pay is 686 euros. How much would the delivery be? Thanks! To get the most updated costs please go to http://www.jrailpass.com and start your purchase: the total price will be displayed before paying. Also please note that for delivery to Colombia you are entitled to get a 50% discount on shipping costs if the amount of your cart is over 510€. If you travel by 20th December you will receive your order in perfect time for your trip – the standard delivery time varies between 24 and 48 hours. However, the exact delivery time will depend on the customer’s location, time of order, public holidays as well as customs problems and/or ground/air transportation disruption. The estimated maximum delivery time is 72 hours. My husband and i will spend 16 days in Japan. Which option is best for us? 14 day pass and then pay for two more days separately? It will fully depend on your itinerary. If you are going to travel a lot around the country even the 21-day Japan Rail Pass could be cost saving. We recommend you to check the cost of the individual tickets of the trips you want to make at Hyperdia and to compare them to the cost of the nation-wide Japan Rail Pass. I’m coming to Tokyo via Narita airport for 8 days and staying near Higashi-Shinjuku station. Will be going to Mt Fuji for 2 days and rest of the time will be around Tokyo. What pass should I buy? The best kind of pass will always depend on the kind of trip you aim to make. We recommend you to draw your complete itinerary and then check Hyperdia to get the individual costs of each trip. Once you have the cost of the trip under individual tickets you can easily compare it to the cost of the Japan Rail Pass and assess which kind of ticket is more adequate and cost saving for you. From Tokyo station to Shin-osaka station, can we use JR Pass for Tokaido-sanyo shinkansen Nozomi? The JR Pass is valid on the Kodama, Hikari and Sakura types of Shinkansen, but is not valid on the Nozomi and Mizuho classes. You will not have access to the ‘Nozomi’ and ‘Mizuho’ Shinkansen that are the fastest trains on the Tokaido and Sanyo lines. However, you have access to the ‘Hikari’ or ‘Sakura’ Shinkansen that cover the same routes. To get from Tokyo to Osaka we recommend you to take the Shinkansen Hikari train leaves approximately every 30min from Tokyo and arrives at Shin-Osaka station after 2:30min. Can I buy jrpass at a Jr. Station in Tokyo? The JR Pass can be purchased online or through specialized agents, like this website. However, since March 8, 2017, and on a trial basis, the pass is also sold at selected stations inside Japan, at an increased cost. While you are now able to purchase the JR Pass in Japan, please keep in mind that it is only sold in particular stations, at a higher price and you are required to pay in Yens, as no other currency will be accepted. 1) from fukuoka, we plan to go to tokyo using the JR pass. i understand we have to change trains in osaka. please tell me the details as to which station to change trains in, what train to take, etc. do we only change trains once? 2) we will stay 3 days in tokyo and looking at hotels in the edogawa area. i have been studying the train system. from osaka, i guess we get off at the tokyo station. then, do we take the chuo-sobu line, get off at nishi-funabashi, then take the tozai train to edogawa? our station is nishi-kasai. where do we need to buy tickets – when we take the chuo-sobu or the tozai or both? how much are the tickets? 1) Yes, you will have to transfer trains at Shin-Osaka station. From Fukuoka, you will take either a Sakura or a Hikari train from Hakata Station. Once you arrive to Shin-Osaka, you will just need to transfer to the Tokaido/Sanyo Shinkansen to Tokyo Station. 2) The Chuo-Sobu line is included in the Japan Rail Pass so if you are using it you don’t need to purchase any additional ticket. This line crosses the Yamanote, with a slower but very handy service for tourists. We hope you have an amazing time at Japan! Thank you very much for your advice. Really appreciate it. 1. From Narita Station, I would like to travel to Asakusa to visit the Sensoji Temple as well as the Tokyo Skytree? May I know if I could travel to this places using only the JR Rail Pass or do I need to connect through other subway lines? If that is so, may I know which subway line should I use and at which stations should I transfer? 2. I also intend to to travel from the Tsukiji Fish Market area to the Tokyo Tower, Shibuya Crossing, visit the Meiji Jungu Shrine and finally to Shinjuku. From the write-up of the JR Yamanote Line, I get the impression that I could travel to these places using only the JR Pass?Please advise if I am correct. There is no JR station in Asakusa and hence there is no way of arriving by only using your Japan Rail Pass. You can use the pass to travel to the Ueno Station from Tokyo Station in the Yamanote line and there take the Tokyo Metro in Ginza line to Asakusa (not covered by the Japan Rail Pass). Asakusa is the last station of the line. You can get to Tsukiji Fish Market by only using your Japan Rail Pass: you just need to travel on the Yamanote line to Shinbasi and walk around 20 minutes. To visit the Tokyo Tower you can also use the Yamanote line, fully included in the Japan Rail Pass: station is Hamamatsucho. In the same JR Line you have Shibuya and Shinjuku stations, that will get you to those vibrant areas. Last but not least, the Meji Jungu Shrine is located just beside the JR Yamanote Line’s Harajuku Station. I am arranging my boss trip to Tokyo early November ( 2 – 6 Nov 2017) and wish to get clearer information concerning to JR Pass. He will traveling from Tokyo ( arrival not sure yet either from Narita Airport or Haneda Airport ) to Osaka and wish to use train. He will take train again to Tokyo from Osaka few days later to catch his return flight. Looking for best advise , He can buy the ticket from the machine located at station or it way better i purchase from him JR Pass for his usage during his Tokyo – Osaka trip ? It will depend on the usage he makes of the Japan Rail Pass: since it covers trips through the whole country it would be more cost effective the more he travelled. We would advice you to check at Hyperdia the cost of the individual trips and compare it to the cost of the Japan Rail Pass to assess which ticket is more adequated to your boss’ scheduled trips. Thanks for sharing. Does JR Pass also valid for Rinkai Line? I know Tokyo Wide Pass does. The JR Pass is not valid on the Rinkai line so you will have to pay the ticket prices for that part of your trip. Thank you for the information. Please also advise how do I travel from the Tsukiji Fish Market area to Tokyo Station with the JR Rail Pass. If the JR Rail Pass could not be used, which other rail pass do I need to purchase and which station in Tsukiji Fish Market area should I start my journey. As this is the first time I am travelling to Tokyo, I am unsure of how to move around. From the Tsukiji Fish Market walk for 5 minutes to the Tsukiji Station and take the Hibiya Line to the Ginza station. Once there, you need to do a transfer to the Marunouchi Line. After 2 minutes without any stop, you will reach the Tokyo station. I will be in Tokyo from October 20th – October 22nd staying near the Tsukiji Fish Market as I intend to watch the tuna auction in action. Another of my planned itinerary will be to travel from the Tsukiji Fish Market area to Narita to visit the Narita-san Temple as well as to savour Kawatoyo Honten’s unagi. May I know how do I travel from Tuskiji Fish Market Area to Narita using my JR Rail Pass? To go from the Tsukiji Fish Market, in Tokyo, to Narita city you need to take The Narita Express, also known as N’EX. This limited express train service is fast, reliable and punctual, and you can ride it for free with your Japan Rail Pass. N’EX trains take approximately 1 hour to get from and to Tokyo Station and the service operates 27 trains daily. For more information about travel times and schedules , have a look at our blog. for the 7 days JR Pass, we want to activate it on by 12:00 PM (noon) on October 6 so we can still use them on October 13 before 11:00 AM? Therefore, if you have purchased a 7-day pass and your activation date (when you first use the pass) is October 6th, the exact expiration time will be midnight on October 12th. Have a very nice trip to Japan! Is activation of the JR pass based on the day of activation or a 24 hour time period. Specifically, if I activate my JR pass on Nov 24th at 4p, can I use the pass until Nov 30th at 11:59p or until 4p on that day? The Japan Rail Pass validity period is calculated in days, not in hours. Therefore, if you have purchased a 7-day pass and your activation date (when you first use the pass) is the 24th of November, the exact expiration time will be midnight on November 30th. What this implies is that if you plan to take a late night train during your last validity day, you will be able to do so as long as your train leaves before midnight. Your JR Pass will be valid until the end of the journey. I arrive Narita airport at 4.30pm Oct 10 and plan to depart on Oct 19 at 4pm same airport. I purchase a 7 days JR rail pass and can only activate the pass on Oct 13 so it will last till the last dat of departure. Since my arrival time is late afternoon I plan to spend 2nites in Tokyo, can you please recommend which is the most economical transport to ride from Narita airport into Tokyo? The easiest way would be the Narita Express, fully included in the Japan Rail Pass. However there are many other options that take a little longer but at a lower price, please check Narita Airport’s website for further detail. Yes – Joenji station is a stop on the Chuo Line, included in your Japan Rail Pass. If I have a JR Pass and wish to use the JR lines within Tokyo (such as the Yamanote and Chuo lines), how do I get a ticket that will let me onto the train? Do I need to visit the JR ticket office each time or can I show my JR Pass at the platform gate? You don’t need to go to the JR ticket office each time you plan to board a train. Once your voucher is exchanged and that you have the actual Japan Rail Pass you just need to go to the designed gate and show your pass to the staff.